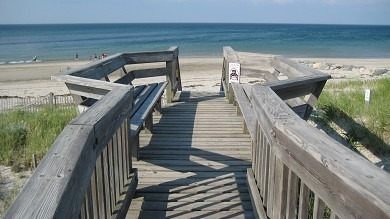 Come and Enjoy Cape Cod’s National Seashore Trails and bring home some wonderful Memories! For overall guide click here. –Atlantic White Cedar Swamp Trail (End of Marconi Station Road, South Wellfleet). The trail is about a mile loop down into a magical boardwalk world of a moist white cedar forest. Kids love it! The up and down hill nature of the world might be a challenge to people with mobility challenges. See a map and pamphlet here. –Beech Forest Trail (Race Point Road, Provincetown). About a mile-and-a-half loop trail around a pond and through a beech forest. Fun for kids and a good-sized parking lot. See a map and pamphlet here. –Buttonbush Trail (Salt Pond Visitor Center, Route 6, Eastham). A nice little (quarter-mile) trail on even ground that is good for little kids and folks who are more comfortable with a small adventure. Convenient restrooms are located in the Salt Pond Visitor Center parking lot. See more information here. –Doane Loop Trail (off Doane Road, about a mile east of Salt Pond Visitor Center, Eastham) Take a gander at giant Doane Rock, a boulder left by the glaciers, then enjoy this half-mile trail with a nice vista on Nauset Marsh. For more information click here. –Fort Hill Trail (Fort Hill Road, Eastham). A spectacular vista overlooking Nauset Marsh and the Atlantic Ocean, this wide-open meadow trail is a splendid place to stretch your legs with a view. About a mile, easy walking. See more here. –Great Island Trail ( Corner of Griffin Island and Chequessett Neck Road, Wellfleet). This is the big dog of Cape Cod National Seashore Trails and can run around 8 miles if you hike every bit of it. A grand stroll through forest, marsh and along wild stretches of Cape Cod Bay Beach. Plan carefully, bring water and allow time–maybe half a day if you walk the whole thing. Not for the faint of heart, but a great Cape Cod experience. More info here. –Nauset Marsh Trail (Salt Pond Visitor Center, Eastham). A nice leg-stretcher behind the Salt Pond Visitor Center that ambles along scenic Salt Pond and out to big views of Nauset Marsh. A loop of about a mile with some forested parts leading back to to the Salt Pond Visitor Center with convenient restrooms. See more here. –Pamet Area Trail System (End of North Pamet Road, Truro). 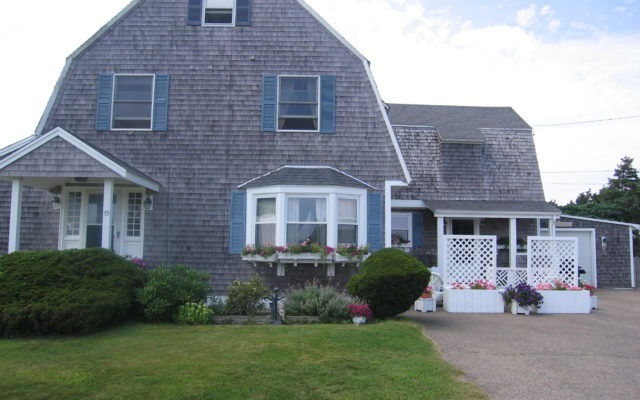 A beautiful spot on Cape Cod with breathtaking views of the Atlantic Ocean and Pamet Valley. Main trail is a litttle over a mile with a fair amount of up and down. Spurs of the trail can take you much further into the Cape Cod National Seashore. Highlights include the view from the east summit of Bearberry Hill and an old cranberry bog with a peculiar house that has the front door on the second floor. Map and guide here. –Pilgrim Spring Trail (Pilgrim Heights Area off Route 6 about a mile north of Head of the Meadow Road, North Truro). A short jaunt through pine and oak forest to a site that may or may not be near where Pilgrims found first spring in the New World. Quiet and easy walking. See more here. –Red Maple Swamp Trail (End of Hemenway Road, Eastham). A good portion of the boardwalk part of this trail is closed because of structural issues, but you can also access the Fort Hill Trail from here. Fine vistas of Nauset Marsh. More info here. –Small’s Swamp Trail (Pilgrim Heights Area off Route 6 about a mile north of Head of the Meadow Road, North Truro). About a half-mile loop with a spur to a fine vista of dunes and the Atlantic, this trail passes through abandoned farmland that is returning to forest. Also a short boardwalk over a marshy area. More info here. –Woods Walk at Highlands Center Trail (End of Old Dewline Road, North Truro). A walk through Cold War history at the site of the former North Truro Air Force Station. An unusual Cape Cod walking trail because it features abandoned military buildings that were part of a radar facility. Also features a strange neighborhood of residential units no longer in use. About a mile and a fun change of pace. See more info here. Aquinnah Headlands Preserve: The preserve naturally divides into two areas — the north head and the south head — with the town’s municipal parking lot located in the middle. 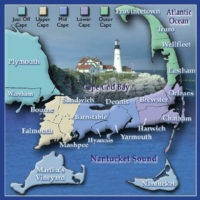 The north head, open annually from September 15 to June 14, enjoys high views of the chain of the Elizabeth Islands, the Buzzards Bay coastline, the Rhode Island shore and, directly below, the Devil’s Bridge, a mile-long string of boulders and other glacial shards that have been responsible for many maritime disasters. The south head is open year-round and includes Moshup Beach and its surrounding low heathlands. Bare Hill Preserve: The two properties comprising this preserve are connected by a trail and are part of theCross-Tisbury Trail. “Bare Hill” is thoroughly wooded and sits in shade all summer long; the name is historical and appears in old deeds. Blackwater Pond Reservation: The trickle of water exiting the Homestead Pond here eventually–two miles away–enters the Vineyard Sound at the lamberts Cove Beach; before it leaves the reservation it passes through the Blackwater Pond, Southern Duarte’s Pond and Northern Duarte’s Pond. CLICK HERE for a property map. Brightwood Park: The trail that loops around the top of the ravine is a cooperative effort between the Land Bank and Sheriff’s Meadow. It crosses land owned by both organizations, as well as private land whose owners have granted trail easements to the Land Bank. Land Bank staff helped SMF staff lay out and construct a segment of the trail through Brightwood Park. The total loop trail around the ravine is roughly .9 miles. Brine’s Pond Preserve: Hosts an island of beetlebung trees situated in the water like an iris in an eye; and the new farm opposite the pond, where rows of summer vegetables follow the contours of the fields. Cape Poge Wildlife Refuge: Explore this magnificent barrier beach with its sandy shoreline, expansive salt marsh, beautiful salt pond, and unique colony of hardy red cedars. Caroline Tuthill Wildlife Preserve: The public is invited to enjoy the Preserve by walking or bicycling on the Garrett Family Trail and the many other trails on the property. The trail follows a circuitous path through the forest, and includes expansive views of the salt marshes along Sengekontacket Pond. The 1.7 mile purple trail, south of the Garrett Familly Trail, was designed specifically with mountain bicyclists in mind. Chappy Five Corners Preserve: The Edgartown lighthouse and the North Neck bluffs sit opposite the beach and the inlet is a parade of boats all summer long. Child Farm East & West: The land bank sought to continue this history here by purchasing an agricultural preservation restriction over a roadside field and its adjoining backland. CLICK HERE for a map of Child Farm East. CLICK HERE for a map of Child Farm West. Chilmark Pond Preserve: Located on the down-slope of the Abel’s Hill, this property offers high and long views of the Chilmark Lower Pond and the Atlantic Ocean. Christiantown Woods Preserve: Acquired so that the background of the Christiantown chapel would not be spoiled by houses, this property — plus the chapel and the nearby Wampanoag burial ground — won a “special places” designation from the commonwealth. Cranberry Acres: VOLF is actively working to restore the cranberry bog to organic production. There is a public walking trail around the large pond. Farm Pond Preserve: A trail connects South Circuit Avenue and the school and then continues past the town wellfield into the Trade Wind Fields Preserve — a superb natural experience only minutes from Oak Bluffs center. Featherstone Farm: Conservation of this old horse-breeding farm resulted from a cooperative acquisition involving the land bank and the Featherstone Meetinghouse for the Arts. The farm buildings are now studios and galleries and the pastures and woodlands are in public conservation. Felix Neck Wildlife Sanctuary: Four miles of trails through woodlands, meadows, ponds, salt marsh, and along shorelines allow for exploration, discovery, and quiet contemplation. Fulling Mill Brook Preserve: Footbridges span the brook, easing hikers into habitat which in some areas would otherwise have been too dense or remote to visit. Gay Head Moraine: Its wetlands form a honeycomb near the center of the property, and the rise and fall of the various elevations creates puddles of wetlands in unexpected places. CLICK HERE for a trial map. Great Rock Bight Preserve: The park-like quality of this land results from tall specimen trees, grassy fields, gurgling wetlands, a heart-shaped pond. Hillman’s Point Preserve: The pines on this land are typical Tashmoo — thick and shady. This contrasts sharply with the land’s sand spit which projects into the pond: it is a plein air setting where the sun and especially the wind are intense. Jessica Hancock Memorial Trail: The Jessica Hancock Memorial (Green) Trail’s (.05 miles) main attractions are the freshwater bog, sandplain grassland, and a view of the osprey pole. John Presbury Norton Farm: A continuous public trail of some four miles in length from Duarte’s Pond on the Lambert’s Cove Road to the Old County Arboretum opposite the town school. Joseph Sylvia State Beach: The Nantucket Sound shoreline of State Beach is a very popular beach for families because there is a gradual slope into deeper water and the waves are usually small. Katama Point Preserve: It is grassy and flat, and its wide-angle waterviews extend from Edgartown center to Norton Point beach. Little Duarte’s Pond Preserve: The preserve is the last stretch of grass and water along the Cross-Tisbury trail before it enters the expanse of the Greenlands and the state forest. Long Point Wildlife Refuge: 2.1 miles of flat trails through woods and open areas, plus beachfront. Easy walking. Manaquayak Preserve: This kettle pond and its surrounding woodlands are today quiet and scenic. Manuel F. Correllus State Forest: It is managed for passive recreation, mostly hiking and cycling on its 14 miles of bike paths. Menemsha Hills Reservation: Experience the drama of a rocky shoreline and scenic vistas across Vineyard Sound to the Elizabeth Islands from the second-highest point on the island. Middle Line Woods Preserve: The ridgelines are high — with snatches of views of the Buzzards Bay, beyond Pasque Island — and the boulders here rival Waskosim’s Rock, Devil’s Bed and other island notables. Middle Ridge Preserve: The ocean view here is the reward for mounting the hill. Middle Road Sanctuary: The walking trails are shown on a map at the edge of the parking lot and are marked by paint blazes. The red trail is a 0.6-mile loop that runs up and across a hillside, along a ridge and back down the hill to complete the circle. The mile-long yellow trail leaves the red trail, continues along the ridge, swings down the opposite hillside, continues up and over a second ridge and ends at the King’s Highway. Moshup Beach Overlook: .081 kilometers of nature reserve. CLICK HERE for trail maps. Mytoi: Enter a secluded world of designed Japanese elegance in this garden environment of exotic and native plantings that encircle a serene pond. Nat’s Farm Meadow: The public is invited to enjoy Nat’s Farm on a walking, bicycling and equestrian trail that loops around the entire north pasture. Beginning at the trailhead on Old County Road, the trail also provides a good link to the paved bicycle paths of the abutting State Forest. 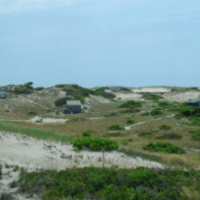 North Neck Highlands Preserve: From its heights hikers easily observe the region’s geography: the curve of the Cape Poge Elbow, Martha’s Vineyard’s east shore (with West Tisbury’s Indian Hill in the distance) and the far-off islands of Nantucket County. Norton Point Beach: Due to recent beach erosion, there is only 1.8 miles of oversand-vehicle trails. There are 4.5 miles of walking trails and sandy roads in the upland area. Ocean View Farm Preserve: This preserve sits in the middle of a cross-town trail loop which encompasses the Fulling Mill Brook Preserve, Peaked Hill Reservation, Middle Line Woods Preserve, Tea Lane Farm and the Sheriff’s Meadow Foundation’s Middle Road Sanctuary. Old County Arboretum: This triangle of meadow, with its fanciful name, is one of the few remaining fields on the Old County Road. Long-range plans call for native plants on the land to be identified with plaques as part of an informal arboretum, with bicycle racks and benches to be provided. Peaked Hill Reservation: The various promontories enjoy vistas of the south shore, Nomans Land Island, the Aquinnah peninsula, Menemsha Bight and — in the far distance over the Vineyard Sound, Elizabeth Islands and Buzzards Bay — the Mattapoisett coast. Pecoy Point Preserve: Some 1100 feet of pondshore are conserved here, as well as sloping grasslands, salt marsh and a freshwater pond. Pennywise Preserve: 175 acres located between the neighborhoods along the Vineyard Haven and West Tisbury Roads were purchased cooperatively by the land bank and the town of Edgartown. Polly Hill Arboretum: Grounds are open everyday from sunrise to sunset. Self-guided tour info is located in the parking lot kiosk, guided tours by appointment. Priester’s Pond Preserve: Special features are the sunsets over the water and the spillway at the dam. In the autumn the pond reflects the scarlet leaves of the surrounding beetlebung trees, creating a memorable view. Quammox Preserve: Boats may be launched into the Katama Bay at the foot of the Quammox Road; short-term drop-off parking is provided there, with longer-term parking in the trailhead up the hill. Quansoo Preserve: The trail is open for walking, bicycling, horseback-riding and cross-country skiing year-round from dawn to dusk. Due to the presence of ground-nesting birds, no dogs are allowed from April 1 to October 1, and from October 2 through March 31, dogs are allowed but must be leashed. CLICK HERE for a brochure of Quansoo Farm. Ripley’s Field Preserve: Ripley’s Field Preserve is a history of the glaciers: differences of up to 70 feet in elevation are found among this property’s many valleys and hills. Roth Woodlands: Sheriff’s Meadow Foundation is collaborating with neighboring landowners and colleague conservation organizations to create an interconnected Mill Brook Trail system, of which the trail on Roth Woodlands will be an integral part. 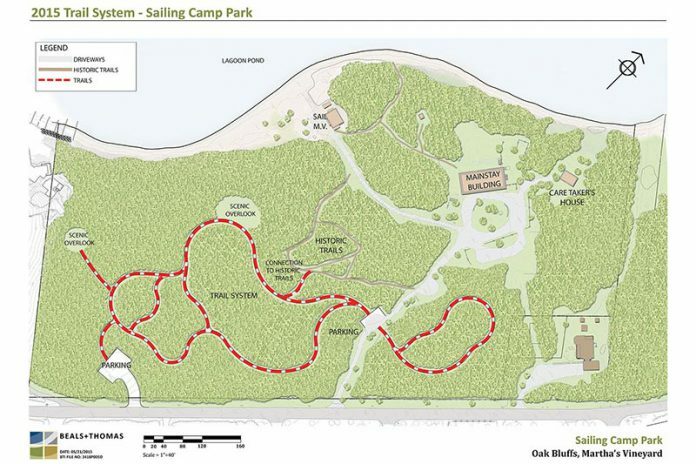 Sailing Camp Park: The Sailing Camp Park has a system of trails that loop through a peaceful section of mature oak and pine woods above Lagoon Pond, off Barnes Road in Oak Bluffs. Sepiessa Point Reservation: Predominantly wooded, the reservation also includes grasslands and a savanna, restored by the land bank as part of a plan to increase foraging habitat for hawks and owls. Sheriff’s Meadow Sanctuary: The public is welcome and invited to enjoy Sheriff’s Meadow Sanctuary by walking along the Ruth and Ed Brooks Trail. 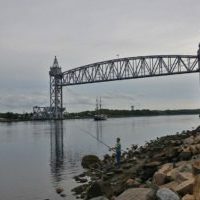 The Brooks Trail offers sweeping scenic views of Eel Pond and Nantucket Sound, not to mention attractive interior views of the Sheriff’s Meadow pond, John Butler’s Mudhole and the surrounding environment. CLICK HERE for a trail guide. Short Cove Preserve: Hikers should prepare for a long trek: having commenced at the Tiah’s Cove Road trailhead and peregrinated along the pastures, beside the cove, against the great-pond and back once again to the trailhead one will have tallied nearly two miles. South Indian Hill Woodlands Preserve: The land bank seeks out strategic roadside properties to conserve, which led to the protection of this land along both the State and South Indian Hill Roads. Southern Woodlands Reservation: Trails here are especially well-suited to cross-country skiing. Square Field: The Vineyard’s choicest agricultural soils are found in Katama and in the alluvial Mill Brook valley; this “Square Field” is located precisely in the middle of the latter. Sweetened Water Preserve: Formerly overgrown and hosting a prominent house, this property was restored to open grassland via the off-premises relocation of the house and a round of mowing by the land bank. Tea Lane Farm: Trails lie against the edges of the fields, with the exception of the heliodaemonic cross-pasture path atop the hillock. The town and the land bank have leased the land to local farmers for flower cultivation and livestock grazing. Thimble Farm: Thimble Farm was long a fixture on the island, known for its innovative hydroponic greenhouses. Three Ponds Reservation: The eponymous three ponds — Brine’s, Buttonbush and Winterberry — are arrayed along the spine of the cross-Chappaquiddick trail. Tiasquam Valley Reservation: The reservation ranges from the river itself, crossed by a simple beam footbridge and including a wildlife blind at pond’s edge, up to a ridge some 175 feet above sealevel and oriented out toward Tuckernuck Island. Tisbury Meadow Preserve: This property’s dozen roadside acres are grassy and hilly; notable is the white oak near the hilltop with its shapely crown. The pasture along the ridge and down its slopes is leased by the land bank to a farmer for raising livestock, primarily meat chickens. Toad Rock Preserve: Densely woven scrub oak and an undulating topography characterize this property. At one end of the preserve, buried in the thick vegetation, is the batrachian glacial erratic; at the other end is Surveyors Hill, with its capacious view of the Squibnocket Pond and beyond to Nomans Island. Toms Neck Farm Preserve: Including 8 acres of wild field and surrounding a 5-acre salt pond, the preserve is indeed a stand-alone. Trade Wind Fields Preserve: Hikers are asked to limit their own exercise to the existing marked trails on the zone’s perimenter; these trails have been sited so as to allow maximum human freedom to ramble on the preserve while permitting sandplain species to continue to exist. 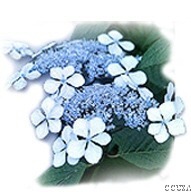 Wapatequa Woods Reservation: This reservation — which has grown to 100 acres from its 20-acre birth in 1988 — straddles the town lines between Oak Bluffs and Tisbury. It serves as a greenbelt outside Vineyard Haven, the island’s busy port. Wasque Reservation: Due to the recent and dramatic beach erosion, there are no accessible oversand-vehicle trails but we still have .5 miles of walking trails and sandy roads in the upland area. Waskosim’s Rock Reservation: Much variety here: woodlands in the reservation’s southerly end segue into open fields — some high and some low — in the middle tier and these, finally, segue into deeply shaded wetlands along the Mill Brook at the northerly end. Weahtaqua Springs Preserve: The property has been named the Weahtaqua Springs Preserve, in honor of the Wampanoag name for land at the head of the Lagoon Pond. The preserve’s trail terminates atop an irregular and compactness with a view of the pond; the contours of the topography here are thrown into particular relief after a snowfall. West Chop Woods Preserve: A bike rack and small parking area off Franklin Street provide access to over one-and-a-half miles of marked walking trails. The main trail is part of an old cartpath known as Lighthouse Road, which once connected Vineyard Haven with the lighthouse at West Chop. Lighthouse Road is now marked as the red trail and has been expanded to make a loop at the north end. Another old road, designated the blue trail, runs between Franklin Street and Main Street, near the southern boundary of the property. Two additional trails wind through the woods, connecting the blue trail with the red trail and making it possible to walk several loops of varying lengths. Whippoorwill Farm Preserve: Whippoorwill Farm is renowned for its tomatoes. A trail runs the length of the field, connecting the state forest and the Old Holmes Hole Path. 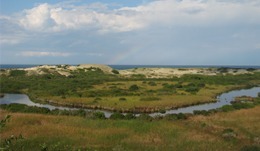 Wilfrid’s Pond Preserve: Visitors will note the relatively high dune and the austere beach, which enjoys views from Cuttyhunk to Mashpee. Wompesket Preserve: This property is home to a glorious wet-meadow; it is oval in shape, noisy with birds and in a pastoral setting. Nantucket Bike Path Network – CLICK HERE for a map. Altar Rock – Altar Rock is one of the most dominant features at 100 feet above sea level, it is the fourth highest elevation on the island (the highest is at 111 feet above sea level, located just south of Sankaty Head Light). On a clear day, this hilltop affords wonderful views of Polpis Harbor, Pocomo Head, Coatue, Great Point Light, Sankaty Head Light, ‘Sconset Village, and the surrounding heathlands. Coskata-Coatue Wildlife Refuge – Access to the refuge is limited to narrow, soft sand roads that can only be traversed by four-wheel drive vehicles. A valid Oversand Vehicle Permit is required and can be purchased at the Wauwinet Gatehouse on the Wauwinet Road between May and October (phone 508-228-0006). Eel Point – Eel Point is accessible via a soft sand road off of Eel Point Road. Parking is available at the end of Eel Point Road before it turns south for Warren’s Landing. Limited soft sand driving in four wheel drive vehicles is also possible, but the recommended way to explore this beautiful property is on foot. of pitch pine, is a boardwalk over a marshy inlet of Hummock Pond. Long Pond – This trail begins at the southern gate and heads over a small rise, but soon the trail narrows and the flora rises above the trail. The trail, at some points during the spring and summer resembles a hedge maze with vegetation completely obscuring the view of Long Pond, but soon, the trail spills out onto a wider path and the view opens up as well. Miacomet Pond Trail – The Miacomet Pond Trail provides recreation and trails enjoyed by both visitors and residents. This property abuts the Land Bank-owned Miacomet Golf Course to the west and Miacomet Pond to the east. The trail head is located at the end of Mizzenmast Road. Sanford Farm, Ram Pasture & The Woods – Sanford Farm is now best known for its popularity with walkers, runners, dog owners and bicyclists for its well marked trails, spectacular vistas, ocean views and a respite from the hustle and bustle of nearby Town. Squam Swamp – A walking trail and accompanying interpretive brochure provides an introduction to many of the ecological, geological, and historical features of this property. The 1.75 mile round trip trail is well marked and has numbered posts keyed to the interpretive map. Tupancy Links – There are approximately 1 ½ miles of clearly marked trails that wind through several of the course’s old holes (outlines of tees and greens are still visible) and pass by a spectacular view of Nantucket Harbor and the Island’s north shore.